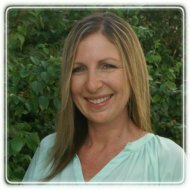 Fort Lauderdale Therapist: Margie Mader - Therapist 33309. ADD, ADHD, OCD with children, abuse issues with children starting at 2 y.o. Send A Message To Margie. Clients have said they get more out of 2 sessions with me than 10 years of traditional therapy. I believe this is because of the utmost respect that I have for the client, relating to them as an inherently strong person. I think everyone holds the key to their own fulfillment but often feels too stuck to know how to get there. Many circumstances can make us feel like there is no hope, or "We should just accept this is the way things are." I help people recognize their barriers, and then figure out how to overcome them thereby. creating hope and possibility. Through many techniques, modes of innovative therapies, compassion, but also "calling people on their stuff", people have breakthroughs and unbelievable results. Let's get started. Call me today!